The Internet of Things (IoT) heralds the emergence of multitudes of computing-enabled networked everyday devices with sensing capabilities in homes, cars, workplaces, and on our persons, leading to ubiquitous smarter environments and smarter cyber-physical “things.” The next natural step in this computing evolution is to develop the infrastructure needed for these computational things to collectively learn. Recent advances in deep learning revolutionized related fields, such as vision and speech recognition, but the question is: how can we bring advantages of deep learning to the emerging world of embedded IoT devices? In this talk, I will discuss core challenges in: (i) foundational building blocks; (ii) physical-resource efficiency; (iii) human-resource efficiency; (iv) predictability; and (v) system design of deep learning solutions to meet needs of IoT applications. Shuochao Yao is a Ph.D. in Computer Science at University of Illinois at Urbana-Champaign, advised by Professor Tarek Abdelzaher. 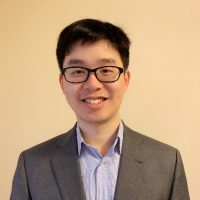 His research lies in the modeling, system efficiency, human-resources efficiency, reliability, and related applications of deep learning enabled IoT. He is the recipient of the SenSys Best Paper Award Nominee (2017) and the ICCPS Best Paper Award (2017).